Due mostly to not being supplanted, Josh McCown has been named the starting quarterback for the New York Jets. After a disappointing 2016 season, the New York Jets shed multiple veteran players and went into rebuild mode. But they needed a quarterback with some sort of resume, and Josh McCown was brought in on a one-year, $6 million deal. Now, according to Ian Rapoport of NFL Network, McCown has been named the Jets’ Week 1 starter. McCown spent the last two seasons with the Cleveland Browns, with eight starts in 2015 and three starts last year. He also has experience with a team that eventually earned the No. 1 pick in the following year’s draft, with 11 starts (1-10 record) for the 2014 Tampa Bay Buccaneers when they had nothing to gain by winning games. 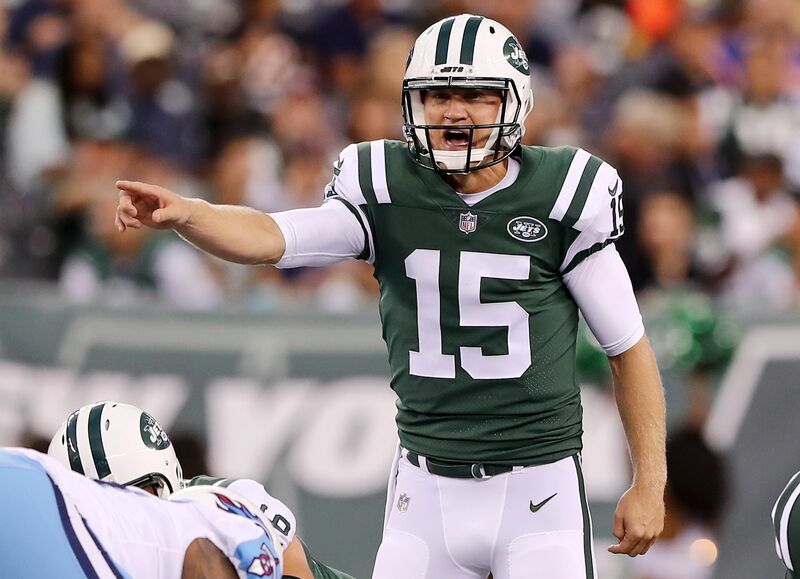 McCown saw his first and only action of this preseason on the first drive of the first game, as the Jets seemed to give Christian Hackenberg a legit chance to win the starting job. But the 2016 second-round pick failed to seize the opportunity, leaving McCown to start. Bryce Petty suffered a left knee injury late in Saturday night’s game against the New York Giants, which creates some doubt over who will back up McCown to start the season. Not that it really matters anyway. McCown is basically the dictionary definition of a journeyman quarterback, as the Jets will be his eighth NFL team. He also hasn’t been a great picture of durability, and that will not change at 38 years old. If the Jets are in full tank mode, admitted publicly or not, McCown is the perfect starting quarterback to start losing as many games as possible right out of the gate. But don’t bet on him starting anywhere near all 16 games, due primarily to injury, and Hackenberg and Petty should each start a few games this season.